I was supposed to have something really exciting to share with everybody today! I waited all day for it to show up, but nope, it didn’t. I guess I’ll have to share it tomorrow. Still, man, how disappointing? Have you ever checked and rechecked a website all day waiting for something awesome to get posted, only for the mysterious forces of the Internet to fail you? Alas. Anyway, rather than wallow in disappointment, I thought I’d share a tidbit of news that came over the Internet this week: the Prowler is going to be a supporting character in the new Amazing Spider-Man comic! I love the Prowler! He’s one of my all-time favorite comic book characters, especially in the Spider-Man books. I love that Peter has a legit superhero friend out there who isn’t a love interest and isn’t just a different A-list hero. He’s just a good guy who pals around with Spidey sometimes. So finding out that he’s going to be a player in the new, relaunched Amazing Spider-Man series was some welcome, geeky news. Hopefully stay tuned tomorrow for my really exciting news! 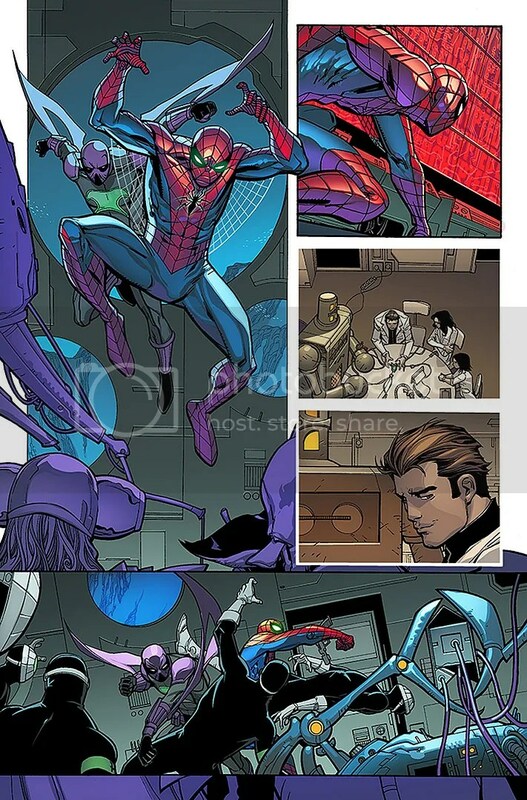 Posted on September 25, 2015, in Comics, Marvel, Spider-Man and tagged Prowler. Bookmark the permalink. 3 Comments. Isn’t Parker supposed to be jet-setting around the world in his new book, with Miles or whoever taking over in New York? Is the Prowler going to follow him around like a stalker, or i wonder if Parker is going to hire him to work for his company for some reason? Either way, i know little of the Prowler. I know he came out when Spawn at Image comics was at the height of his popularity, and they ripped him off. Then Prowler changed his look, then I never heard from him again. Doesn’t mean he hasn’t been around though i guess. Oh my friend, allow me to fill you in on the awesomeness of the Prowler! I think you’re thinking of Nightwatch! Very similar, I suppose. Prowler was actually introduced back in 1969, and he’s been an ally of Spider-Man ever since. He’s engineer Hobie Brown, and Spidey convinced him to be a hero instead of a crook. He’s one of Spidey’s closest vigilante allies who isn’t already an A-list Marvel hero. He’s helped design gear and alternate costumes for Spidey over the years. And he’s a skilled engineer, so he’d be a perfect hire for Parker Industries! Hey, you’re right. It was Nightwatch i was thinking about. And now that i think about it more, I remember Prowler a little bit. You jogged my memory. Now i’m glad he’s coming back. If he’s good with making gadgets and gear, then maybe he will indeed find a job at Parker Industries.